ALBANY (Scrap Monster): Two New York state senators- Betty Little and John J. Bonacic have urged Mayor Bill de Blasio to reverse the proposed ban on use of single-use polystyrene (PS) products, which is scheduled to take effect from July 1st, 2015 onwards. Instead they demanded implementation of recycling system which could well save hundreds of jobs that are presently at risk due to the ban. According to the senators, the bill will put hundreds of jobs at risk. 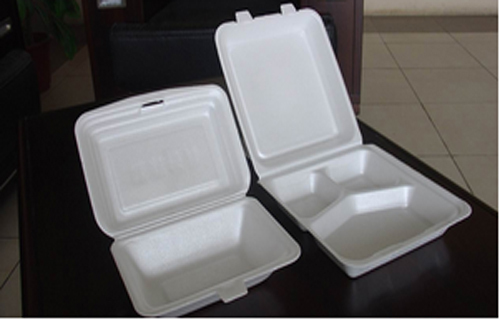 They added that foam products used in food industry are recyclable and cost effective. They urged the Mayor to increase recycling efforts for these products instead of imposing ban on their use. The decision is likely to send more than 20,000 tons of recyclable plastics and foam into landfills. This will cause significant environmental impact, they added. In addition, the ban will adversely affect New York-based EPS foam manufacturers like Genpak. The supporters of the bill claims that PS foams are not easily bio-degradable and takes years to get decayed in landfills. Moreover, city’s recycling facilities currently are not equipped to processing PS foam products. On the other hand, restaurant owners and business groups claim that the ban would badly affect small businesses. The proposed law bans city’s food service establishments from possessing, selling or offering single-use foam materials such as cups, plates, trays and clamshell containers. The law also bans sale and use of PS loose fill packaging. The businesses are granted a grace period of 6 months to get accustomed to the new law. Hence establishments will not be fined for violating the law until Jan 1st, 2016.